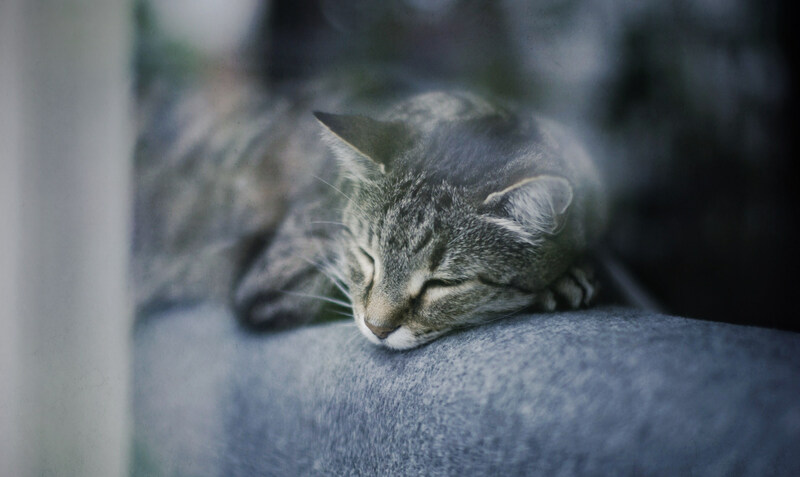 Can Pets Suffer From SAD (Seasonal Affective Disorder)? In the wintertime, many humans experience seasonal affective disorder, or SAD, an issue associated with lethargy due to short, cold days. Many pet owners have reported seeing changes in their pets during the winter months too. A cat might eat more or change their active hours. A dog may be less inclined to get up from a nap to greet you as days grow shorter. This made us wonder: Do pets get SAD too? It’s also possible wintertime behavior changes are actually our pets reacting more to us than the weather. “Since many of our companion animals are so in tune with their people’s moods, it is also possible that people with SAD may be more likely to have pets that also exhibit concomitant depressive behavior,” he said. There are several products on the market for treating SAD in pets, from pet-friendly UV lamps to vitamin D and other supplements, but Turk says to take these with a grain of salt. “Anecdotally, I have several clients who use these lamps for themselves who have reported that their cats and dogs love to bask in the light with them,” he told me. They’re not harmful, he says, but there aren’t scientifically reliable studies to confirm whether they have real benefit. Before you brush off a winter behavior change as no big deal, Turk recommends speaking to your vet, particularly with cats. “Cats are masters at hiding signs of illness, and sometimes minor behavioral changes may be indicative of a serious physical problem,” he said. If your pet’s seasonal issues continue, Turk recommends providing a good place for them to lay in the sun, a few new toys, puzzle feeders and incorporating more play into your animal’s routine.